My 1-year-old son, Noah, has always been an eater. From the moment he realized that he could put solid food into his mouth and chew (lack of teeth was a minute detail for him), he would bang on his high-chair tray, demanding more solid food. My wife and I were always astounded by his appetitite … until recently. Noah stopped eating these last few weeks. At breakfast, I ask him “do you want eggs?” “Nahhhh” was his reply. He nibbled on some shredded cheese and half a piece of bread, and that was it. Are we, the parents, worried? My wife is a trombone player. You may know this if you have played any wind instruments, but their mouth piece is one crucial piece of instrument. 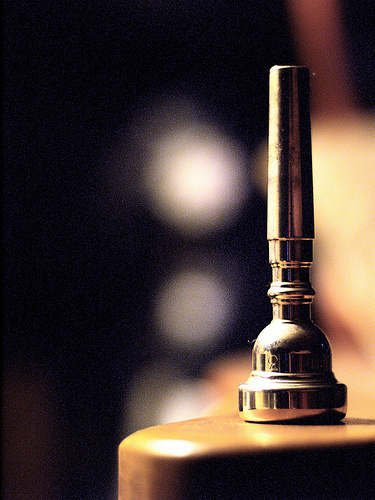 For brass players, it’s the piece with a semi-cylindrical dome to blow into, with a skinnier tube running out of it. Some mouthpieces are easier to blow into — great for beginners. But it may compromise your instrument’s range. Other mouthpieces, the opposite. It is normal during a player’s development to switch the main mouthpiece every once in a while. But what happens when you do switch the instrument? For a while, you may not be able to play. Not very well, anyway. Is that a cause for concern? Of course not. The setback is only temporary. And even if the new mouthpiece doesn’t turn out to be the right one, you can always switch back, or try another one. It used to frustrate me to no end that sometimes I experience not only stagnation in my growth, but setbacks. Things I could do, I can’t. I would look at myself and go, what am I doing wrong? Why is it that I’m moving backwards? 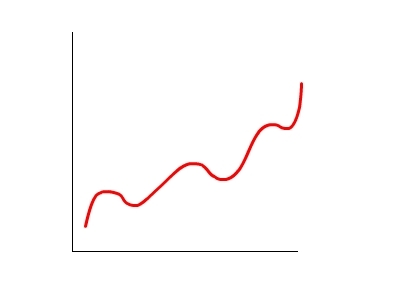 But now that I have more realistic understanding of what growth is, I don’t get frustrated or worried. I just simply accept the temporary step-downs, and keep doing what I’m doing. Notice how a period of stagnation, where there doesn’t seem to be any change. Then it dips down. This may be caused by some breakage necessary to form new, stronger parts. Or it may simply be an equivalent of crouching down before jumping. This is followed by a break through. And usually, this is not subtle nor gradual. One day, I find myself on the new plateau. Boom! Just like that. I have arrived. In blogging circles, we use the phrase “tipping points.” Our day-to-day work may not seem to be yielding any growth — then along comes a tipping point, bumping up the traffic to a new level. There are occasional dips, of course — but it doesn’t necessarily mean that there’s something wrong with our site. Instead of panicking and troubleshooting at each dip, we just take it all in stride, seeing if the down-slide is a temporary trend or more chronic one. I think understanding the nature of growth helps us to keep our faith. To not get frustrated and be more patient. 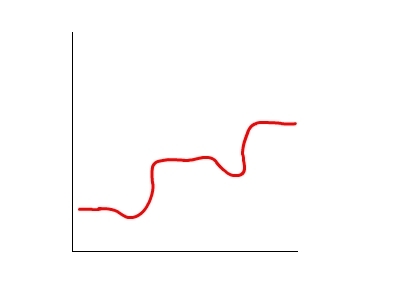 Next time you hit a wall or experience a set back — remember, growth is not a linear curve. Keep at it. I really liked this. I always want to improve, but it’s important to remember, especially with children, that it’s two steps forward and one step back. You are so fast and so omnipresent with your comments! How do you make time to do this? I’m a dad, too, but usually the one I get frustrated with is with myself. I trust my children more — I think they are fine individuals and they’ll grow up great. As for me, I hate regression. So this is what I tell myself when it happens. Beautiful post Ari. And inspiring. You make some truly excellent points and this really does help us stay out of the despair category. I thought you were going to summarise to a link-back with the eating habits of your child as I’m not sure how it all goes together (I’m not a dad) but I assume that your child just wasn’t hungry, not on a DIP of eating? Oh, I did make some assumptions about some parenting insights, didn’t I? It’s normal for kids (particularly babies) to go through growth spurts and lulls. When my son was eating, he was growing furiously. But nobody grows at turbo-charged pace all the time. So he must have hit a lull, as he’s not eating much right now. Another example I can share of kids and regression is this: my daughter needs us to tuck her in at night. Before her little brother was born at age 3, she had gotten to a point where on some nights she didn’t need us to — she’d just do the good night hugs and kisses and put her self to bed. But soon after her brother was born, she started demanding tucking in. I was a bit frustrated about it, because at the end of the day I’m looking forward to chilling out with my wife, and tucking kids in (which usually requires staying there until she falls asleep — some parenting instructions tell parents to condition kids to sleep on their own, but we’re choosing not to do that). But I thought it was a temporary regression brought on by the competition that is her brother. “keep at it” That’s great advice. One thing I learned years ago is that sometimes we have to go two steps backwards to get three steps forwards. Learning to go with the flow and not over analyzing a temporary setback is key. As a Mom of 4 I have seen this a lot raising kids. It is so true in all area of life as well. I think that is why I am very patient to let my blog grow in an organic way. I think of life like the Ocean. It has a strong ebb and flow to it and it just is that way and won’t change. It is good to accept that aspect of life and the fact that storms come, bring waves and then smooth waters as well. The important thing is to always be prepared and ready so that you are poised and in position when the tide- and your ship comes in. Welcome to OBV! Wow, a mother of four! You have my respect. My wife and I are spinning our heads with just our two, though we’re gonna try to have more. I respect your decision to let your blog grow “organically,” too. I myself am still trying to figure out where the fine line is for me, what feels comfortable doing — I see some people working very hard on marketing and promotion, which I respect, but some of the things they do, when I try it, I don’t feel good about. I want my endeavors to be self-sustaining (assuming that it offers enough value to the world to deserve to do so) so I do want to run it as a business. I’m not familiar with your blog yet. I’m off to check it out! Thanks again. Thank you Ari for that. I think we all need to be reminded of this so that we don’t get discouraged. It’s easy to get all excited when we see a surge of growth in any area of life, and easy to discouraged with the smallest decline. However, we need to be open to learning from the declines and keep our eyes on the overall goal – growth in whatever endeavor your pursuing. This keeps the faith high and shows us how to keep growing. Again, thanks for the reminder. BTW – I can see you’ve worked hard at eliminating your words with this one. 🙂 God job! But no — I’ve learned that that’s not how it works. Like others say here, it’s two steps forward, one step back. You can still regress even when you’re doing everything right, at least momentarily. Outstanding illustration. I think you’re absolutely right, that expecting continual, uninterrupted growth is unrealistic. 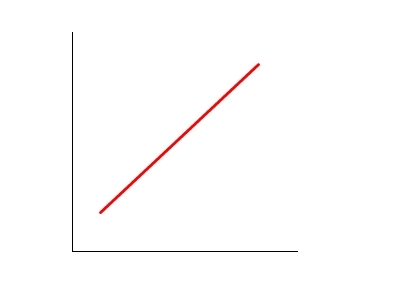 I think your last graph really does describe the growth process quite well. It’s not all rosy. And that’s ok. There are things to be learned when we either stagnate or slip. And we learn. And we grow. And that is what it’s all about as we go through life – if we can learn and grow – we are on our way to where we want our life to be! >we are on our way to where we want our life to be! Nice blog. Glad I found it. And yes, writer dad’s commenting skills are becoming legendary! Keep in touch, at the very least! We’re on the same boat. Yes we seem to be on a similar trip! I am all for genuine networking so let’s see how we can help each other. I’ll get back to you when inspiration strikes! Definitely keep in touch. I subscribed to your blogs as well, so I’ll be checking on you, too. This is just what I needed to hear today! I have been down on myself for regressing in my relationship with my wife. I still farr back on bad habits, but instead of daily they are now about every six weeks. I have changed so much and become a much more caring and interested individual. I have followed the “stairs” and didn’t realize the growth I have actually had. It is funny how we expect growth to constantly move upwards, and we are sometimes quick to dismiss something if there are any setbacks. I wrote something a few days ago about how to get back on track after setbacks (http://kikolani.com/getting-back-on-track.html) because I and those close to me are facing a few now in business and personally, due to the economy. It is important to know that those dips are bound to happen, but do not mean that you will not eventually meet your goals. Welcome to OBV! The current state of economy is certainly challenging in many ways — but it always presents opportunities, too. It’s an opportunity to learn how to better steer our lives so that we can ride out the latest dips — and like you said, get back on track with the upward motion. Thank you for submitting your post to the Living by Design Personal Development Carnival – your piece was one of ten selected from over 50 entries. Welcome to OBV, and thank you! I am flattered to be chosen among so many. I liked your site in general, too. I hope you also stop by and explore what I have going here. I think there’s a good overlap between what we’re doing.